For diamond jewellery that makes a statement, our diamond dress rings are just what you need. This dazzling collection of diamond cocktail rings comes in a number of different styles with designs that feature a variety of diamond shapes. From modern to classic, our selection of dress rings also comes in a range of price points, designed to work with any budget. The perfect accessory for that little black dress, our dress rings can take you from day wear to evening wear with ease or be worn all day long as a piece of jewellery that will make others take notice. 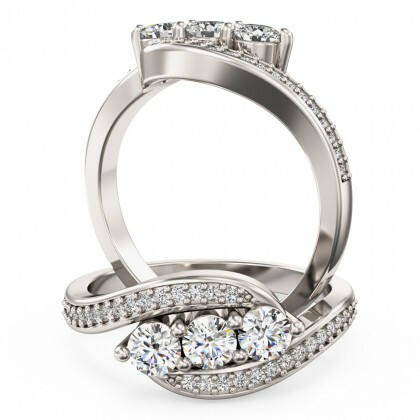 For diamond jewellery that makes a statement, our diamond dress rings are just what you need. This dazzling collection of diamond cocktail rings comes in a number of different styles with designs that feature a variety of diamond shapes.